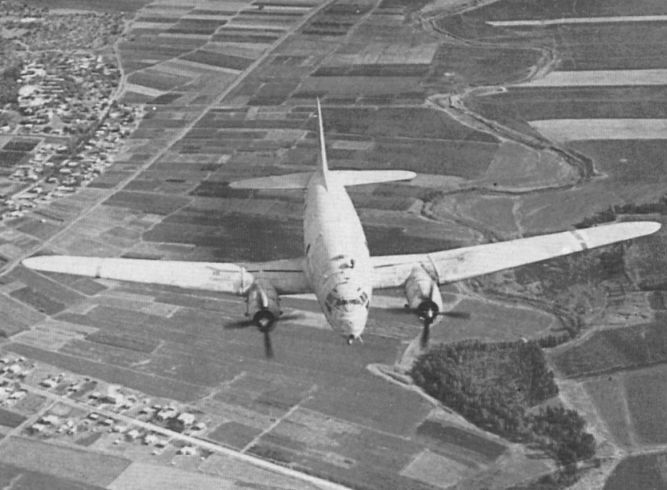 The author flew many hours in IAF Curtiss C-46 Commandos. Eight were used for flying arms and dismantled aircaft into Israel from Czechoslovakia, in addition to shepherding Spitfires during delivery flights to Israel. Between 1948 and 1955 around 90 Spitfires (mostly LF.IXEs and LF.XVIs) served with three IAF squadrons. Many came from Czechoslovakia, others from Italy. 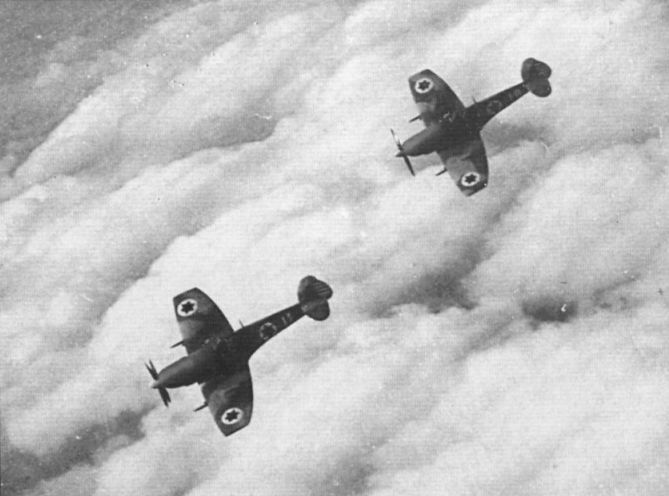 Spitfire LF IXEs are seen here. 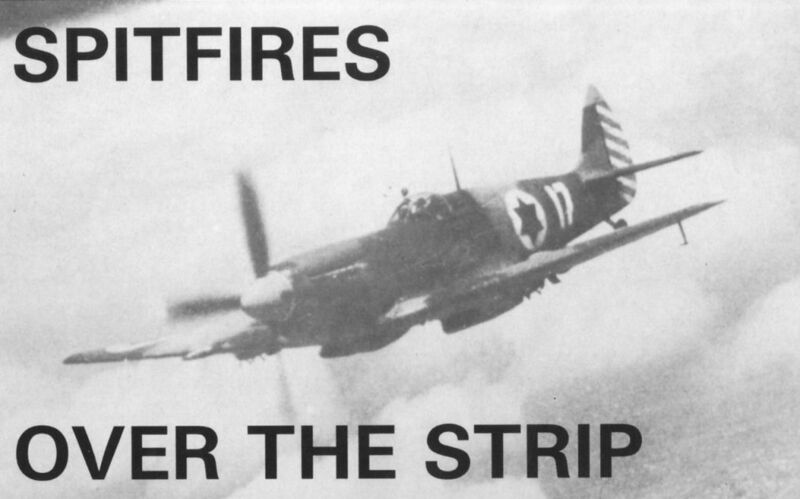 The Czech Spitfires were flown to Israel in September 1948; others were assembled from spares. Line up of ex-Czech Spitfire LF.IXEs after delivery to the IAF. Top surfaces were camouflaged; the national insignia was blue on a white disc and the rudder stripes were red and white.